Windows 10 is now Free! Before you go wild and throw away all of your equipment, you have to have either Windows 7 or Windows 8/8.1 to receive it. It has been a general consesus that Microsoft has been dealing with user frustration from Vista that was resolved - for the most part - in Windows 7. As many have predicted, the success of Win 7 was defeated by Windows 8. Because of the backlash from Windows 8, Microsoft released Windows 8.1. Users grow tired of the back and forth - which Microsoft finally realized with the release of a FREE version of Windows 10. 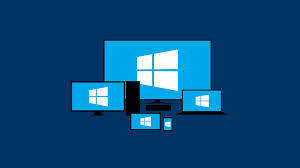 Now that Windows 10 has rolled out, and you are likely seeing the notifications are popping up in your system tray, the question remains "Should I upgrade to Windows 10?" With the update available for free (PLEASE READ) to anybody who already has Windows 7 or 8 the new OS is set to become a huge part of the PC world overnight. Well, maybe not quite overnight. My Support Services Group wants to assist you! When you pick up the phone, tell people 'I'm calling My Support Services Group to fix this problem." You have to keep your content fresh, current, and adapt with the latest social media directions that people are going in. Just because it worked for the last 10 years, does not mean that it will work for the next 2. Times, as well as technology "are a changing" - and you need to keep up with them as well. The Remote Mouse is a service that provides secure, encrypted and simple access from our technicians to your PC. Our skilled technicians will remote to your computer after having reviewed your computer issues that you have provided to us in order to better, and more accurately research the issue before taking your online time to do so.